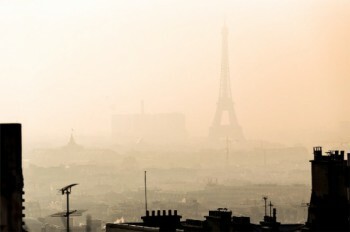 History repeats: On October 1st, 1997 the people of Paris had to face driving bans due to air pollution in the city for the very first time. Ever since then the motto in the French capital was “go ahead”. Just like in Germany and many other countries just the idea to limit the usage of cars is a highly risky thing to mention and a politically dangerous topic. 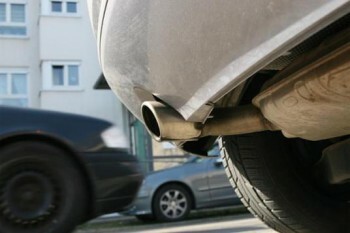 However the authorities of Paris recently found no alternative to limit the air pollution but to announce public driving bans: On March 17th only vehicles with an odd figure on the number plate (and a couple of other exceptions) were allowed to drive in Paris. The most interesting exception from this rule: hybrids and electric cars were allowed to carry on using the streets of Paris! For several hours the Eiffel Tower disappeared in thick fume, the street were covered in exhaust gases, eyes did hurt and peoples´noses were itching – and as the fine dust pollution has exceeded all limits the authorities had to take action. First the usage of busses, trains and the metro was declared free of charge as well as the hire of bikes and electric cars. As these measures didn´t achieve the expected results the authorities announced the driving ban – the most severe option possible. The fee for violation: 35 Euros. More than 700 policemen were in charge to make sure the driving ban got implemented. Vehicles that were not affected by the ban were taxis, ambulance services, trucks transporting petrol, oil or newspapers, cars with at least three passengers as well as hybrids and electric cars. Despite these exceptions the decision of the authorities of Paris is a strong signal: For urban areas like Paris and other large cities new mobility concepts are essential! Horrible images that we have known so far only from Chinese mega cities are now becoming a reality in Europe, too. To steer in the opposite direction it takes profound changes. But these concepts and changes will only be accepted by the public (which is a requirement to success) when they change people´s mobility without limiting it. We are convinced that e-mobility that basis on energy from emissions-free sources like wind and solar power will play an important role in the urban mobility mix of the future. This will also increase the ranking of the charging infrastructure on the agenda of traffic planners and urban engineers. Driving bans will definitely not solve the problem!